V is for Vampire Adventures. There is no "V" series of adventures. Which is too bad really since the obvious choice is "Vampire". While D&D has had some notable vampires show up over the years, Strahd and Drelzna in particular. 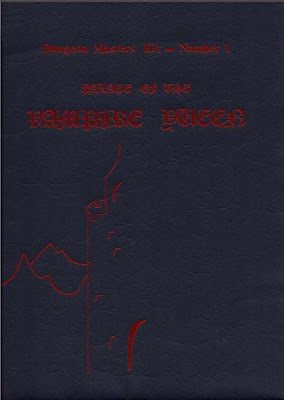 The very, very first D&D adventure ever sold was "Palace of the Vampire Queen". 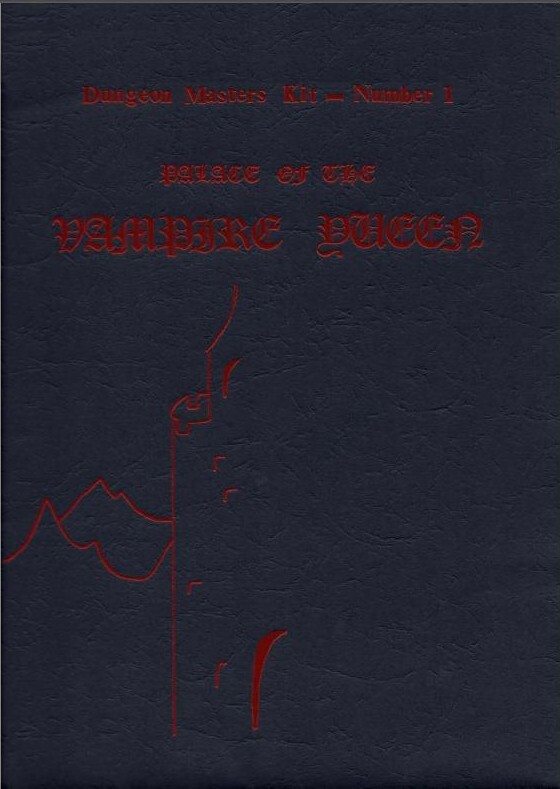 Palace of the Vampire Queen was written by Pete and Judy Kerestan back in 1976. I should also note that the very first published adventure was also co-written by woman; so yes women have always been a vital part of this hobby. Interesting note. The adventure is called a "kit" and not a "module"; a name that would be later used. This adventure was always something of a holy grail for me. I knew about it, but had only seen bits and pieces of it online. I didn't know much more than it was the first published adventure and it was really, really rare. Sites like the Acaeum helped fill in the blanks in what I knew and I learned more from other blogs. 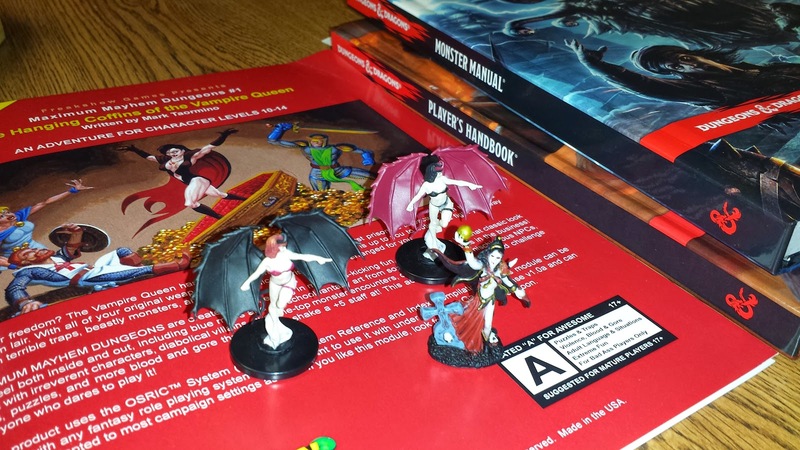 Here is Grognardia's take and a bit from Jeff's Game Blog. 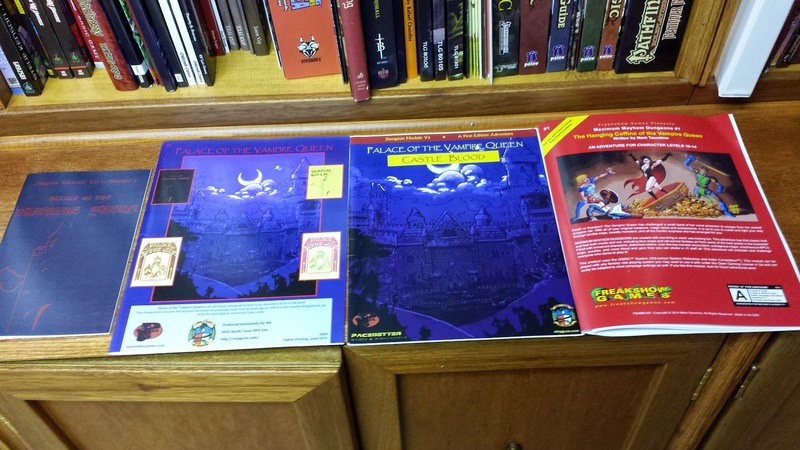 Original copies are still very rare, but I managed to score a couple of official reprints from Pacesetter. As well as the sequels Crypts of the Living and Castle Blood. I have run the original PotVQ before and it was great fun. The adventure is so barebones by even the standards of the early 80s that it is easy to use anywhere. The next two are more "story" driven. I have run Castle Blood, but it didn't quite live up to the promise of the Vampire Queen. Personally I would like to take all three and recraft them into something else. Keep the Vampire Queen elements of course, but introduce some more background. Hitting that nostalgia feeling hard is another adventure, The Hanging Coffins of the Vampire Queen. This adventure, written by +Mark Taormino might be an homage to the first Palace of the Vampire Queen adventure, but it is more likely an homage to those meat-grinder, total-party kill, fun-house dungeons of the late 70s early 80s. There is a basic plot here, enough to get you in the door and moving along, but really this adventure is about killing things and avoiding getting killed. Example, in one of your first encounters you have to run a gauntlet and get past a bunch of fire giants. Eight of them. And their hell hound pets. This is "room 1". It is downhill from there. 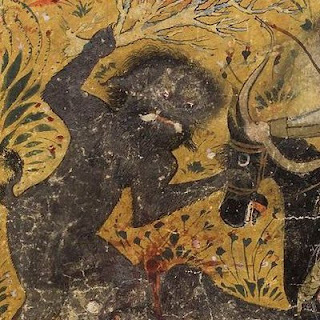 It has demons and other vampires in the wander monster table. Liches, demons, succubi, greater devils, nearly 50 vampires in total, tons of other monsters and of course the Queen herself, Lady Neeblack. This is not an adventure to challenge the resolve of hardy role-players. This is an adventure to survive and leave a trail of bodies behind you. It is old-school, but old-school through the eyes of 40-somethings looking back on their times as teens. The adventure itself has a great lead in to get you interested, but that is just the carrot on a stick, most people buying and playing this module are going to want to jump right in. Another example (this is not a spoiler), you are captured by Lady Neeblack and told you have to run through her crypts for her amusement. The conceit is the characters will feel coerced into doing this, so they slide down a passage to the previously mentioned Fire Giants. In truth my players wanted to jump in like they were doing a dive at the pool. Though to claim people will play this for nostalgia reasons is completely unfair. Mark did a great job of this. The rooms are detailed and what detail! There are interesting encounters and Lady Neeblack herself should really move up the ranks as one of the more memorable NPCs ever. In fact I am hoping that she comes back for a sequel sometime soon. Just like a good Hammer villain she should find ways to come back from the dead. +Mark Taormino, this needs to happen. The text of the book is big, easy to read and despite the "old school" claims still has boxed text to read (screw you Grognards! I still like boxed text even when I don't use it.) Each room is unique and feels like it belongs. Plus the "Hanging Coffins" themselves are the coolest idea in vampire graves since the Lost Boys. The proof of any adventure is not in the reading, but in the playing. So I played it. It rocked. Now the game is designed for OSRIC, but can played with 1st or 2nd Ed AD&D. 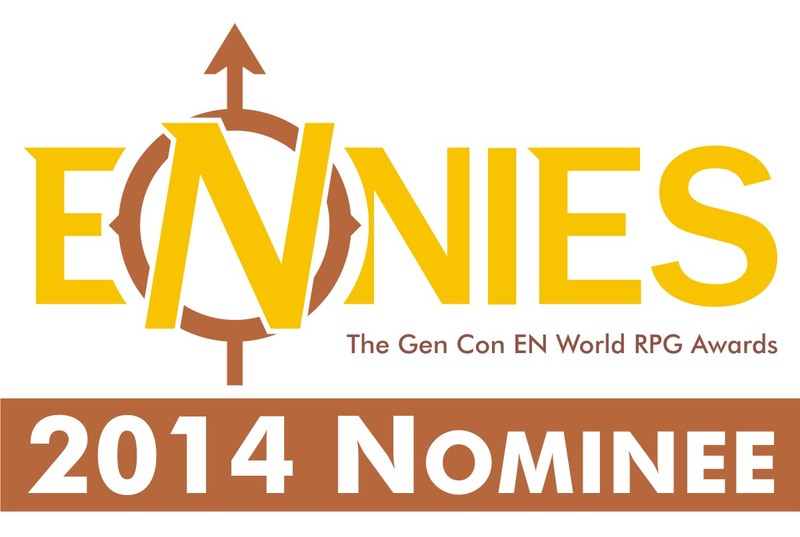 I played it with 5th Edition D&D. I just replaced the monsters and made a character sheet for Lady Neeblack. I ran the same group of people that I had taken through the original Palace of the Vampire Queen and we all treated it as an unofficial sequel. I worked out well enough. We all had fun, but if this module reads as a deathtrap on paper it's a killer in the playing. So make of that what you like. 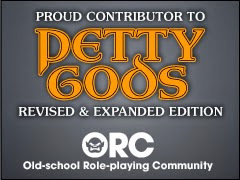 Personally I would love to run it again using AD&D1. I will say this. If you enjoyed Tomb of Horrors then this will be right up your alley. In any case this is one of those adventures that will have your players talking for a long time. One I would like to take all these and combine them in a longer campaign, or part of a campaign. I have also been seriously considering replacing the "vampire world" in Q1 with Hanging Coffins and make it my own Q2. Queen of the Demonweb meet the Vampire Queen! I love Mark's adventure. My only regret is that my group didn't finish it. Thanks Justin! I know it's too long I think! Each encounter takes a long time! Mark, I don't think it's too long. It was just too long for one session. It's a great adventure and I want to work it into one of my regular games.